The doll's features include the justice’s signature jabot, righteous robe and a hardwood gavel "to bring order to your life." U.S. Supreme Court Justice Ruth Bader Ginsburg action figure. 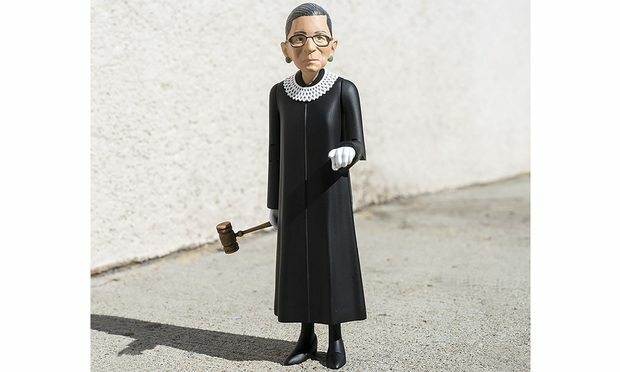 In the latest example of U.S. Supreme Court Justice Ruth Bader Ginsburg’s status as a pop-culture superstar, a Brooklyn company is producing a RBG action figure after a crowdfunding campaign that it said wildly surpassed its expectations.